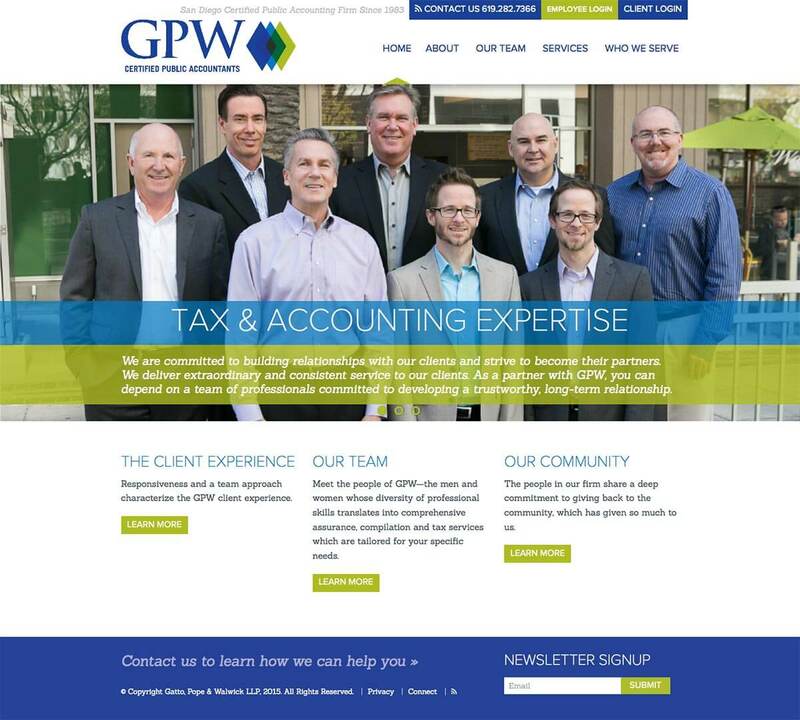 Bop Design was hired by GPW CPAs to create a more engaging website for the San Diego accounting firm. The new web design complements the existing sales effort—helping nurture leads and increasing search engine prominence to generate leads. 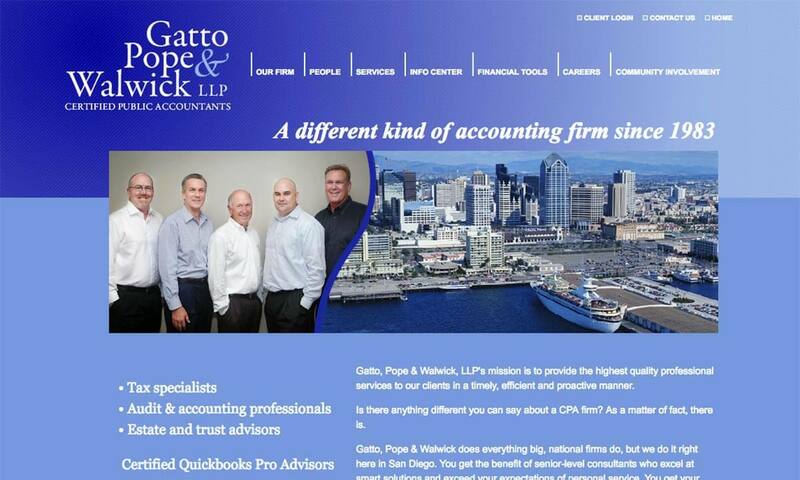 Bop also created a new logo design for the accounting firm. 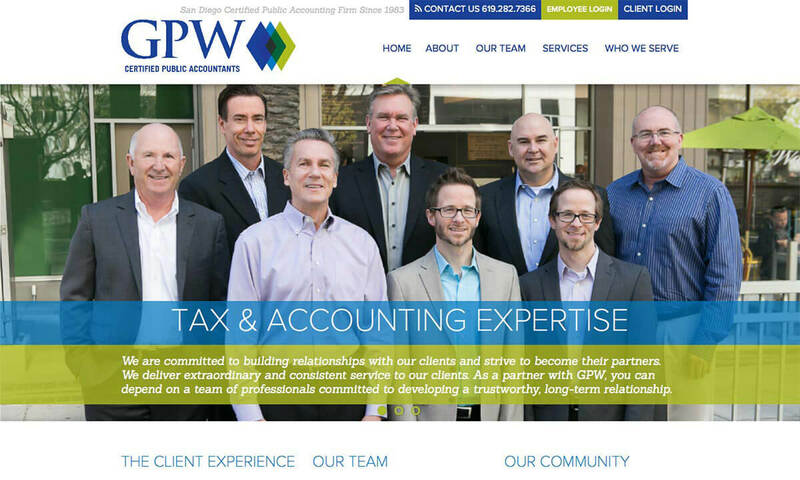 The end result is a more scalable and engaging marketing platform that will serve GPW CPAs for years to come.